The cold, wet October weather on P.E.I. is making for a difficult potato harvest. 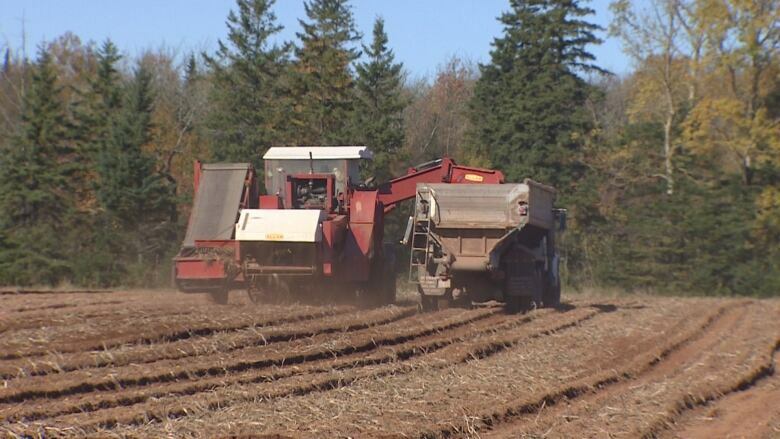 "This year's harvest is probably one of the tougher ones," said Darryl Wallace, chair of the P.E.I. Potato Board. Potatoes don't store well when they come out of the ground wet, Wallace said. They'll bruise more easily if they're too cold and if you put them in storage with frost in them, they'll break down faster. The cold morning temperatures mean farmers can't start their harvest until the afternoon when the weather warms up. Some farmers are starting at 1 p.m. and not finishing their days until after midnight, trying to harvest using the lights from the trucks and tractors, Wallace said. "That makes for a long day when you're digging into the wee hours of the morning…. It's always harder in the dark." Wallace, whose farm is in Cascumpec, said overall yields are "pretty light," given the unusually dry summer sandwiched between a late spring frost and early fall frost. "Obviously if you get less product to sell that means you don't make as much money. And some of your suppliers will be light as well, and you never like to see that." Farmers are hoping for some warm, dry days ahead to salvage the rest of the harvest, but "we don't have control of Mother Nature," Wallace said. 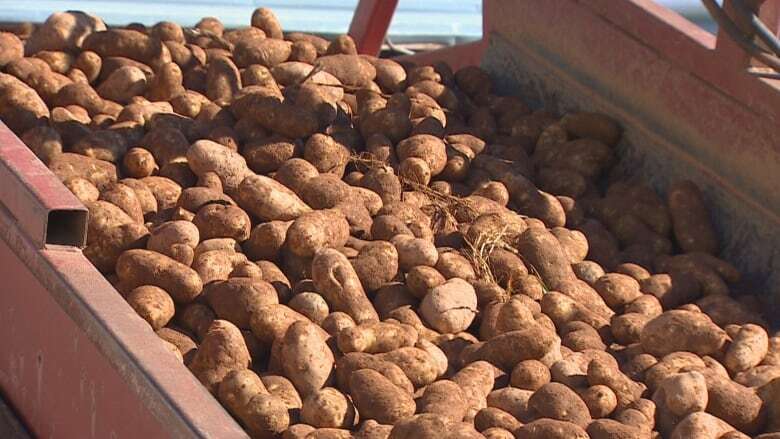 "The risk is that much higher when you start bringing potatoes into your warehouses in November. The calendar says you should be done by the end of October."